Kabbalah Made Easy is a down-to-earth, no-red-strings-attached look at the Judaic mystical system that has been made famous by the Kabbalah Center. The book explains why Kabbalah can seem so complex and breaks the system down into simple, understandable chunks. It examines the different systems that are in operation today including the Lurianic tradition, the Golden Dawn, magical, alchemical and Christian Kabblah as well as the re-emerging Toledano Tradition, which is taking Kabbalah back to its roots while making it accessible to the modern world. The book explains the basics of the Kabbalistic Tree of Life diagram as well as the four worlds of Jacob's Ladder. It includes Kabbalistic lore on angels, astrology and gematria, as well as exercises and meditations that are simple but profound. 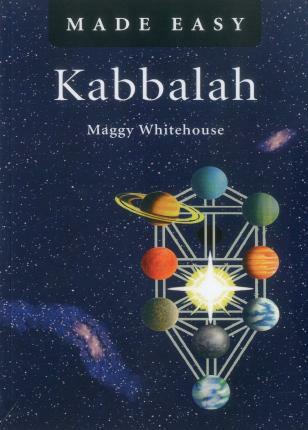 Maggy Whitehouse is the author of fourteen published books on Kabbalah, the spiritual laws of prosperity and Bible metaphysics and tradition.